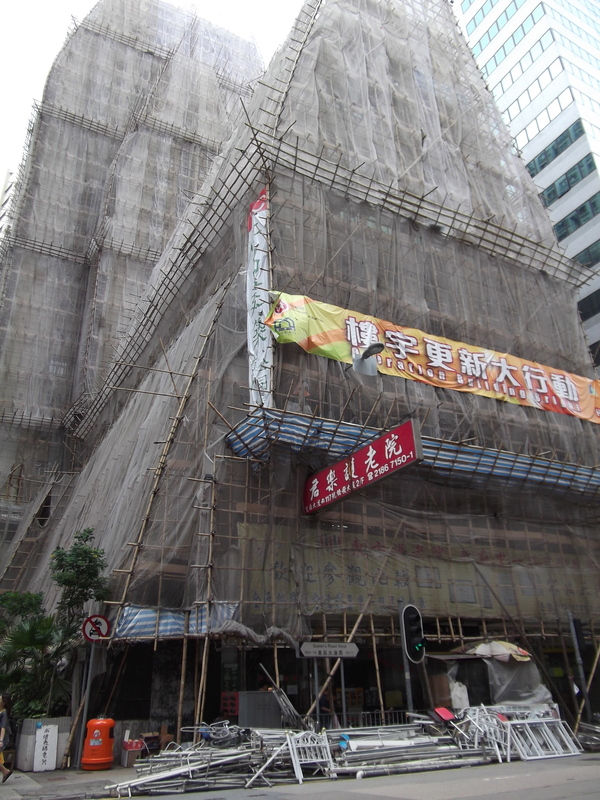 How do they do it — cover entire buildings with bamboo scaffolding, like a network of spiders engulfing a forest, with little to no tools other than thin strips of black plastic to hold it all together, and little to no safety equipment? It always makes me whip out the camera to take a shot of it. 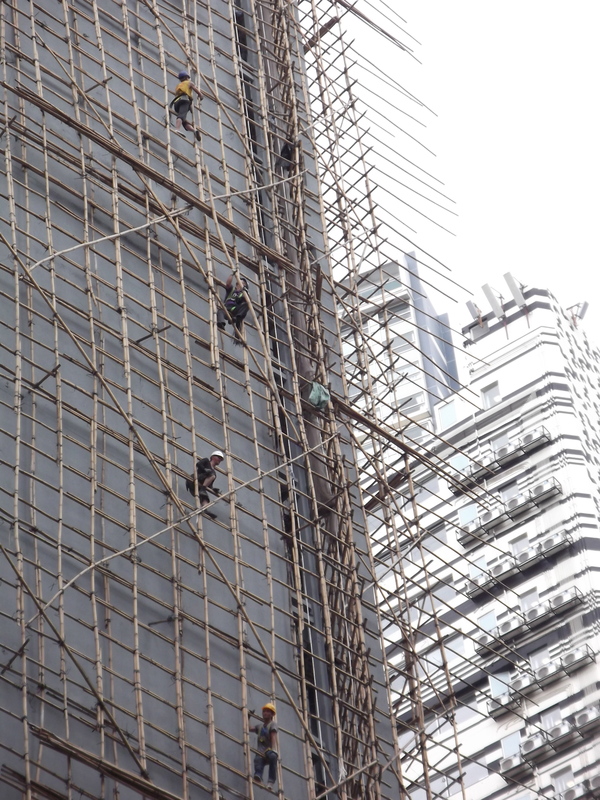 No matter how high the building, the bamboo boys can erect that scaffolding — half the time with no shoes on, and a cigarette in their mouths. So why bamboo? Simple really — it’s sturdy, flexible to sway with the wind, lightweight to pass up and down the assembly line of bamboo boys perched on a ladder, and of course cheap and plentiful. 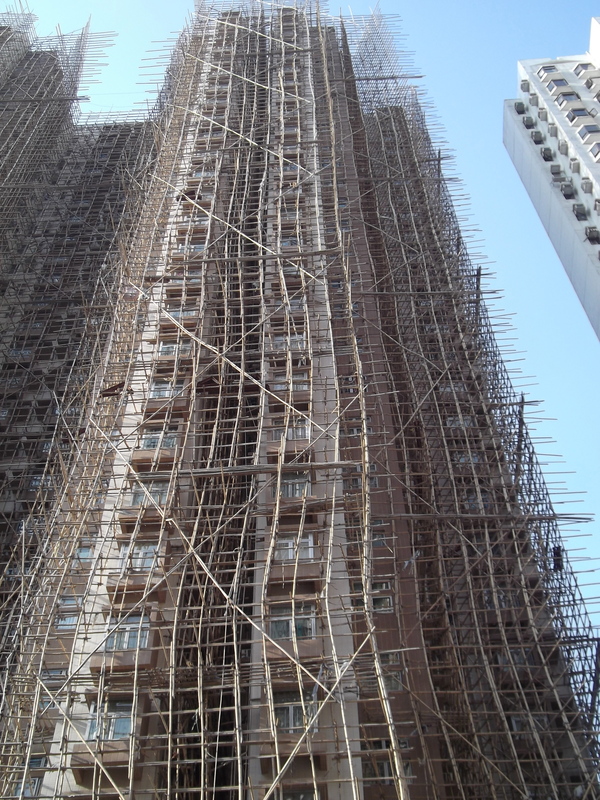 Amazingly, the bamboo scaffolding can even be set up outside of just one window of a building! This is why it’s important, when moving in to a new place, to make sure it is not scheduled for any kind of renovation. Because you can end up looking at nets and bamboo for months on end after moving in! Hi Peter, I don’t have any fancy devices to be honest, just regular old point and shoot cameras. Haven’t even got a long lens!